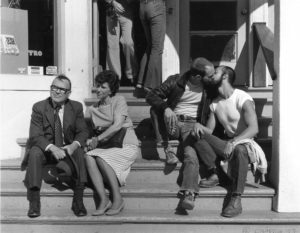 Join us Tuesday, November 22 for Death Talk Goes to the Movies‘ final screening of 2016, the critically acclaimed documentary We Were Here: The AIDS Years in San Francisco. Discussion will be led by director and producer David Weissman, along with one of the film’s subjects, Daniel Goldstein. 7pm at the Clinton St Theater, suggested donation $5+. Thursday, November 10 in North Portland. Register. Share on Facebook. Sunday, December 4 in Milwaukie. Register. Share on Facebook.